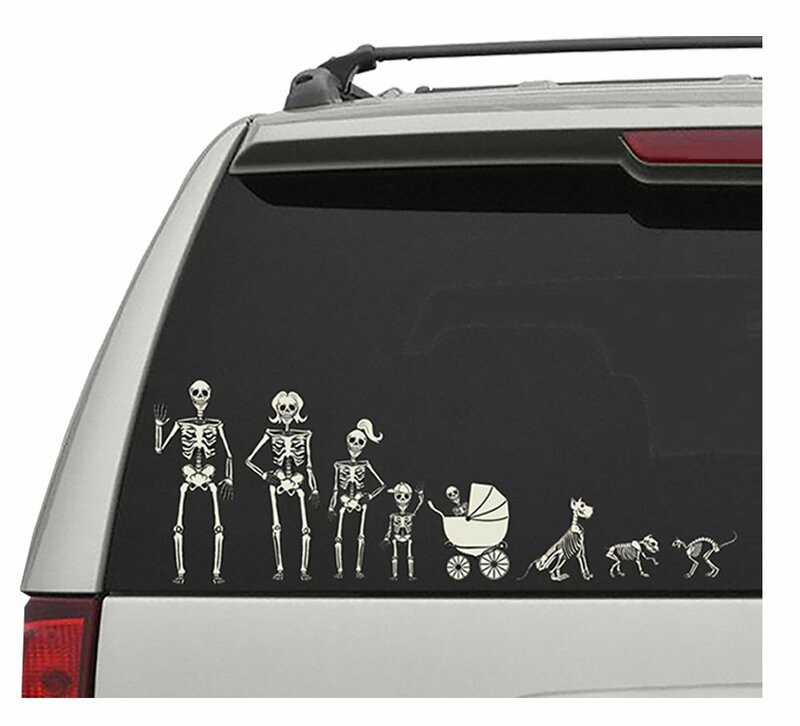 Crazy Bonez Skeleton Family Window Decals are a great way to show your dark side all year long. Durable enough for your car window but can be applied to most smooth clean surfaces. Easy to apply, just peel and stick. Set includes 19 white decals that include both human and animal skeletons. 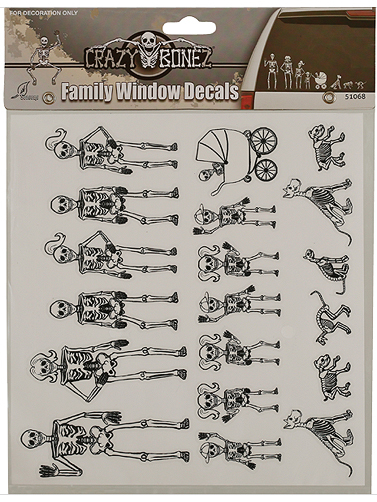 Crazy Bonez Skeleton Family Window Decals in various sizes, range from 4"H x 1.5"W to 1"H x 1"W.